Is Sony New 4K Projector A Good Buy? Many of us do not know much about this new project so I waned to introduce you to a home projector that holds a variety of features. What were going to see in this article is comparisons between the best brands on the market compared to this featured model. We will dive in to the brains of the system to check the durability and see what type of quality the new Sony 4K projector brings to the table. The features to this model will have you excited to watch you movies again. The VPLVW600ES display creates a world where you have the movie in action around you. Its like you being pulled into the movie and realistic sounds carry throughout the room create a surreal surround sound experience like no other. I know you would like to get the biggest bang for you buck, with 4K qualities this projector creates has immense power and quality theater sound. Bring back the joy of watching a movie at home together with the family, add a little kick of sound and high quality 4K resolution. Imagine watching a game in 1080p but four times better with crystal clear picture clarity. You can believe this model is more than just a regular everyday projector, this model carries special memories to display in higher colors as you watch HD family videos with you love ones at the comfort of you living room. In order to have this Sony projector and running in you home you will need to make sure the sizes fit the range which is 200 inch max screens. At this max range it’s still possible to view at 2D and enjoy bright colors but at 150 inches you will see things in 3D as well. You can access the project front the top to avoid remounting issues, and has a feature called the advanced air discharged system which is cool because it’s really annoying to hear the that fan motor during a movie. I like that Sony has an auto RGB feature to help lamp fades over time. Ti helps with better picture clarity. An unbelieveable sense of shock come over you as you start the system up and see this wonderful screen display of color and catching 2D movies turn into 3D is truly enjoyable. IF you looking to expand you 3D experience then you should check out the Sony’s Unlimited 4k experience. This is where you can check out all the movies and more though a Sony tablet which is optional. This network has over 1000 titles to enjoy. No need for an external 3D emitter when you have one already built into the unit. This allows the transitions to 3D with ease. What are the Requirements to Have for a 3D Projector? What is the Best Features To Sony? The 4K technology is the biggest reason to check out a projector for yourself. The ultra high sharp picture you get out of news and cable TV, is wonderful. This model has the ability to upgrade you viewership to another level with the 3D displays. You can clearly see the difference in this type of home theater system and the traditional one when the resolution becomes expanded and displayed to in higher quality. Scaling ability to zoom in and display high picture quality is insane I would think twice before passing up 200,000/1 ratio for resolution display. Just think if you could display 4K media into every room of you home. Optoma Vs Sony: Better Buy? The Optoma EH36 has similar features may lack a few other ones, but for the price you looking for, it’s a steal. Also, the Optoma has a some interesting things I would like to share with you. Optima HD2 Home Theater Projector . Welcome to the next generation of entertainment. The Optoma HD2 has next generation technology with an affordable price at 499.00. High colors and 3D image processor, you can’t go wrong with this model. Let me break you down to the specifics to of this projector to give you something to think about. Optima HD2 Home theater projector has state of art technology with the same feature as Sony but the Optima goes for HALF of what you paying for with a Sony. Even though you pay twice as much for a project know this in mind shop for need not for cost. The reason why I said it’s best to pay for the more expensive model is because you get what you paid for. Do you want the top of the line that delivers what you need or do you cut cost and expect okay quality? Both the Optima and Sony has some the most beautiful lines of home theater projectors but it’s all about what you need. 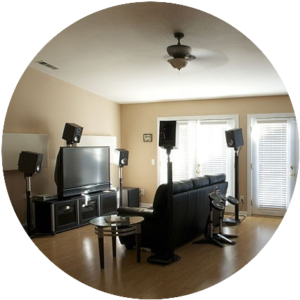 If you looking to have the best home theater system with a low quality flat screen? of course not. I think you will be saving yourself the headache and frustration over why you new cheap projector is on the fritz after one or two uses when you could of have the best model with a good standing warranty deliver you the absolute best in home entertainment. In my honest opinion, The Sony 4K projector has everything you need in home theater to get the job done Its well worth the purchase, I all I hear is positive reviews on this model. Do yourself a favor of choosing the right home theater projector, choose the best and make sure you have all of you connections if you have absolute favorite to share please let us know you comments matter here. Very informative thank you! I’m new to this and not sure if I missed it somewhere, but is it possible to choose between 2d and 3d? My kids would like to watch movies in 3d but it bothers my eyes, so I’d like to have the option. THank your for the feedback, and yes there is a difference between the two, In 2 d you can view content in regular viweing ways in high defiintion and in 3 d you can really see the tone of the colors and the way the cinmea brings you into the movie. I heard thea you can repostion the system in a way to where it’s easier on your eyes. I hope that helps. THank you, It’s okay if your new to this type of technology I believe your going to love this site. 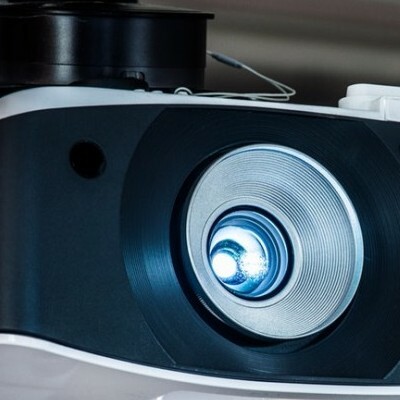 Yes it’s possible to to switch between the two HD modes of 2D and 3D with projectors some have this option and, many come with it as a standard. Also it’s easy to access and install. 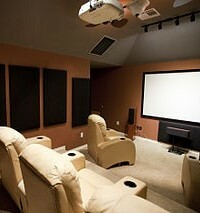 If your looking to Better Home Theater furniture to fit your needs check it out some time it’s very help helpful.